Digital television brings about an issue for the antenna-using VCR owner that the digital cable or satellite subscriber has known about for sometime - losing the ability to watch one channel while recording another. This is one of the most common questions I get from readers - how to watch one channel while recording another. While this is an issue of DTV, the actual problem isn’t with digital technology. It’s the analog tuner inside the VCR. Fortunately, there is a solution but it will require some financial expense if you don't already own the necessary materials. Once you get all of the necessary supplies you’re ready to connect. Please read the instructions and look at this wiring diagram before beginning. Note: All inputs and outputs listed below are coaxial. All cables used are coaxial. In order to watch one channel while recording another on a VCR we need two signals and two tuners. In the old days of analog this wasn’t a problem, according to Lifewire's Guide to Home Theater, Robert Silva. Silva said, "VCRs have one tuner and a RF pass through. 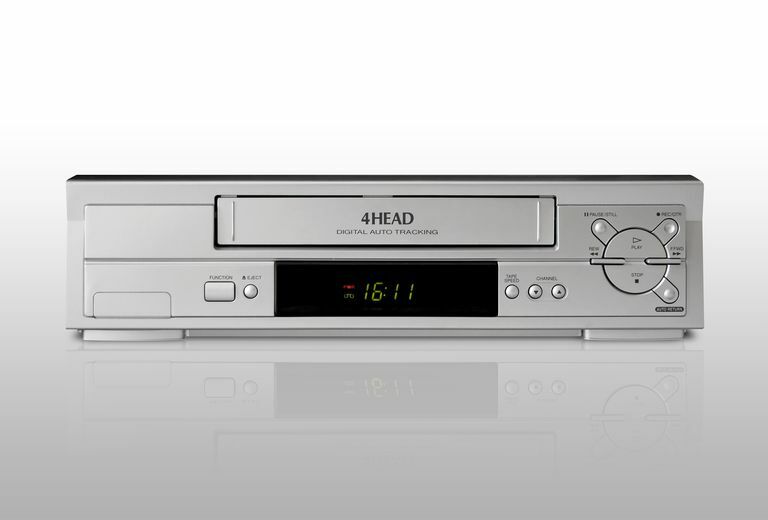 The RF pass through is what allows the signal to go straight through the VCR and to the TV so that the TV's tuner can be used to tune in a different channel than the channel that the VCR is recording." This process is best explained as toggling between the TV and VCR when pressing the TV/VCR button on your VCR’s remote control. Digital signals render analog tuners inside TVs and VCRs useless. That’s why we need the DTV converter box. The DTV converter box can decode the signal received by the antenna. The problem is that the DTV converter box only has one digital tuner. So, the only signal we could watch or record on any single DTV converter is the one that is passing through it at the moment. That’s why we need to create two signal paths. In essence, the only common bond that each signal shares is that each one is received by the same antenna and displayed on the same TV. Other than that, they are separate. Enter the splitter and A/B switch. The splitter takes one signal and splits it into two separate paths – signal path A and signal path B. The A/B switch does the opposite in that it allows the user to toggle between two separate signals for display on a single television. The A/B switch acts in the same way as the TV/VCR button on your remote control. Try to think of your setup as two different signal paths. Signal path A is the VCR and signal path B is the TV. To record a channel you will press the ‘A’ button on the A/B switch and tune the A-side DTV converter box to the channel you want to record. Then set your VCR to record on channel 3 and select a record time. After setting your VCR to record press the ‘B’ button on the A/B switch to watch TV. You can freely turn channels on the B-side DTV converter box while recording on side A. It's best to use two different DTV converter boxes, as two of the same DTV converter boxes will cause confusion, and there is a chance that a single remote control could turn channels on both boxes at the same time. You would eliminate this concern with two different branded boxes. Connect a coaxial cable from the antenna’s output to the input on the 2-way splitter. Note: There is only one coaxial input on the splitter so don’t get the input confused with the two outputs. Connect a coaxial cable from one of the outputs on the 2-way splitter to the input on one of the DTV converter boxes. Note: There are two outputs on the 2-way splitter and two DTV converter boxes. We’ll use the other output on the two-way splitter and the other DTV converter box in Step 5. Connect a coaxial cable from the unused output on the 2-way splitter to the input on the second DTV converter box. Connect a coaxial cable from the output on the second DTV converter box to the input labeled ‘B’ on the A/B switch.